Are you a first year teacher, or maybe looking for ways to be a little more comfortable in your classroom? Either way, our classrooms are where we will spend the majority of our weeks, months and years...so it is important that WE (too) have what we need in the classroom. It is time to build (or restock) your teacher survival kit. So, what do you need? 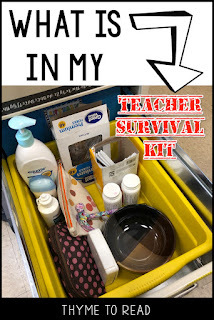 When I put my teacher comfort kit together, I considered items that would help me either day to day (must haves) or occasionally (wouldn't want to be caught without) . Then, I went room to room in my house and made a list of things that would be helpful to have at school. Gum/Mints - Good to grab quick after lunch or on your way to an afternoon meeting. Snack - I keep fruit cups because they have a longer shelf life, and are healthy. Bowl/Mug - For the mornings I forget breakfast and quickly pack a baggie of oatmeal. 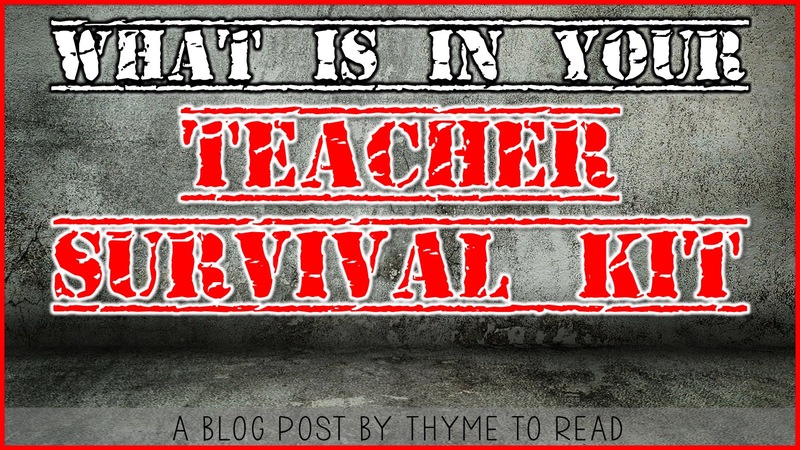 I can heat up breakfast in my room before I become the hANGRY teacher all my students fear! Fork/Spoon - I constantly forget to pack a spoon for my yogurt, or a fork for my salad. I was tired of running all the way to the cafeteria to grab one, so now I just leave one in my special drawer. Blanket - You may be able to do without this one, but any teacher that lives in the North knows what it is like to come back from a school break on a Monday. The heat hasn't kicked in yet, and the ten layers you wore are not cutting it. A more universal alternative would be to keep an extra fleece at school. Medicine - Something like Advil/Tylenol for those quick on-set stress headaches. Cough Drops - This would be something you could bring in when you are sick, or something to leave in your special kit. Teacher Bandaids - I don't know about you, but my school's bandaids do not stick, so I keep a personal stash of the good ones.Feminine Products - enough said.Lotion - I have used this more than I thought I would. Not only for myself, but also with some of my littles as "Magic Boo Boo Lotion." For when they have nothing visible needing a bandaid, but have something that is distracting them, out comes the Boo Boo Lotion. Deodorant - If I have a late night event for school, and stay with out going home, I make sure I have things to give myself a quick refresh. Floss/Mouth Wash/Travel Toothbrush - This goes along the lines of the quick refresh, or the surprise meeting after you ate onions on your salad.Mini-Makeup Kit - One more for a quick refresh. I had this in my kit the first year after my son was born, I used it more on a daily basis because I would run out of the house without doing my makeup. But, this might be another thing you can leave out of your kit and only bring in when you have a late night.Chapstick - For when I inevitably loose/run out of the one in my purse.Contact Solution - this is a must have for obvious reasons! Bobby Pins/Hair Ties - Sometimes you just need to throw up your "Messy Hair, Don't Care!" Safety Pins/Needle/Thread - You never know when you will need to do a quick fix on something. 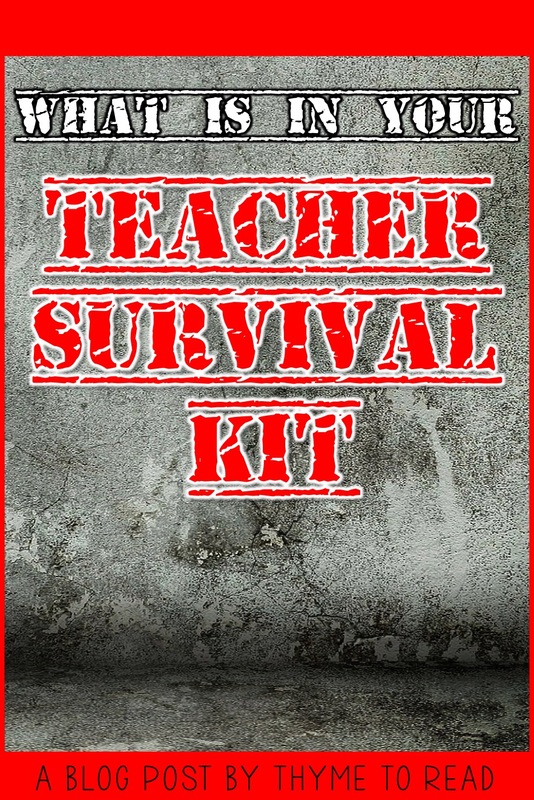 This is quite a lengthy list, and you probably will not have a need for everything on it. I personally do not keep EVERY single item on this list in my special kit, but I do have most of it. It really comes down to what you need, and what you have room for. I have dedicated a filing cabinet drawer to my special kit. The only thing that doesn't fit is my blanket (I keep that rolled up and stashed in the closet). I have a friend that uses a good 'ol fashion Cabodle, and another that keeps only a small clutch of things (I'm amazed at that). I also do not keep full sizes in my kit, I use travel sizes to save a little bit of room. When I run out of something (like mouthwash or Tylenol), I just replenish the travel size from my home supply.